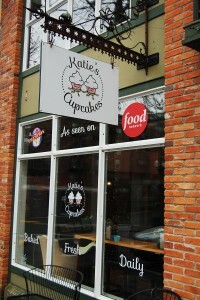 Katie’s Cupcakes won the popular Food Network cooking show Cupcake Wars in 2012. You probably already knew that – and it tells you a lot about the quality and originality of the (seriously scrumptious) product. But it doesn’t tell you the story behind Katie Swanson and husband, Neal Swanson, opening Katie’s Cupcakes in Fairhaven, on St. Patrick’s Day in 2009, long after they met as students at Western Washington University, got married, and eventually brought the cupcake craze to historic Fairhaven. The couple lived in New York after graduating from Western, where they witnessed firsthand the explosion of the cupcake-shop obsession. “And then we moved to Seattle and saw them popping up,” says Neal. When the couple returned to Bellingham six years ago, the idea was firmly planted. 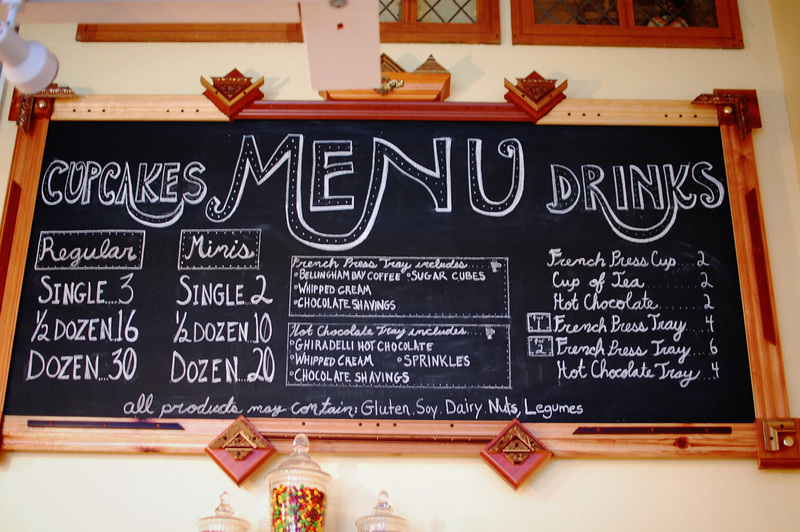 Once Katie decided to open a place of her own, the couple traveled to cupcake shops along the West Coast, visiting with owners and gathering advice. “Katie also practiced her recipes everyday during that time, so I was eating lots and lots and lots of cupcakes,” Neal, who ultimately gained 38 pounds, says with a laugh. 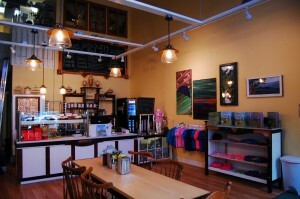 The couple has long loved Fairhaven and knew that was where they wanted to put Katie’s Cupcakes. Once they found their spot – adjoining Rebecca’s Flower Shoppe on Harris Avenue – the work began to build a commercial kitchen out of a second-floor storeroom and upgrade the bathroom. Preparations took three months. When Katie’s Cupcakes opened on St. Patrick’s Day, 2009, Fairhaven shoppers proved eager to jump on the cupcake bandwagon. “It was crazy, one of our busiest days we’ve ever had,” Katie remembers. A line formed outside the shop even before the door was unlocked on that first day of business. “It was a bit scary,” says Neal, describing how they scrambled to get everything set just in time. The first day – in fact, the first week – came on like gangbusters. Business tapered off to a more manageable pace after the first week, but Katie remained busy, up every morning and baking in the Katie’s Cupcakes kitchen by 5:00 a.m.
A year into the venture, Neal read online about the application process for the Food Network’s hit show Cupcake Wars. But life running a new business kept Katie busy enough and she brushed the idea aside. Neal filled out the application. They heard back right away and were asked to send in a video. 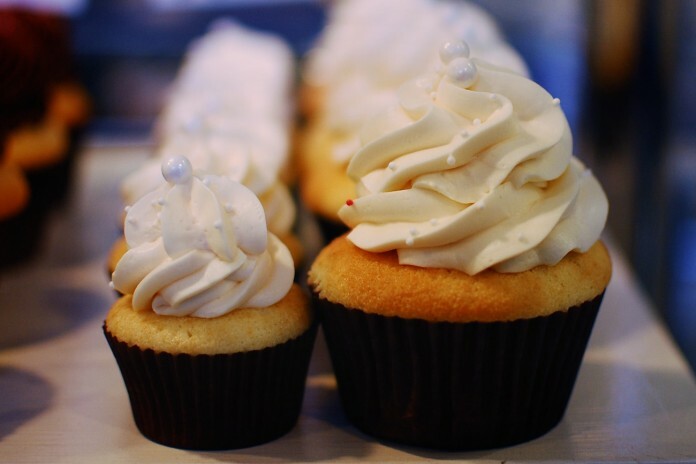 What ensued was a process of hurry-up-and-wait, with the show requesting information, responding that they loved it and wanted Katie’s Cupcakes to appear on the program, and then silence. A year passed and the show got back in touch. Still interested? Sure, said Katie. Another year of nothing. In May of 2012, show producers reached out yet again and asked Katie to send in another video. This time things fell into place quickly, and Katie and her baking assistant, Kelsey, flew down in July for a jam-packed trip culminating in a very long day of shooting that ultimately garnered Katie’s Cupcakes $10,000 in prize money and bragging rights galore. After all the excitement of winning, Katie had to then keep mum about the entire exhilarating experience. The Katie’s Cupcake episode didn’t air until October. Excitement surrounding the show bubbled up quickly and the week following the episode’s Sunday night airing was chaotic for Katie and her tiny crew – so busy that she wasn’t even able to attend the entire viewing party at Mount Baker Theatre, held the following Friday. “I was so tired,” Katie says, laughing at the memory. “We’d spent the week making the flavors we had on the show for our customers, which are all really difficult with ganache fillings and all sorts of complicated things.” She’d pulled out all the stops to impress the judges, and now she wanted to share those same cupcakes with her customers. 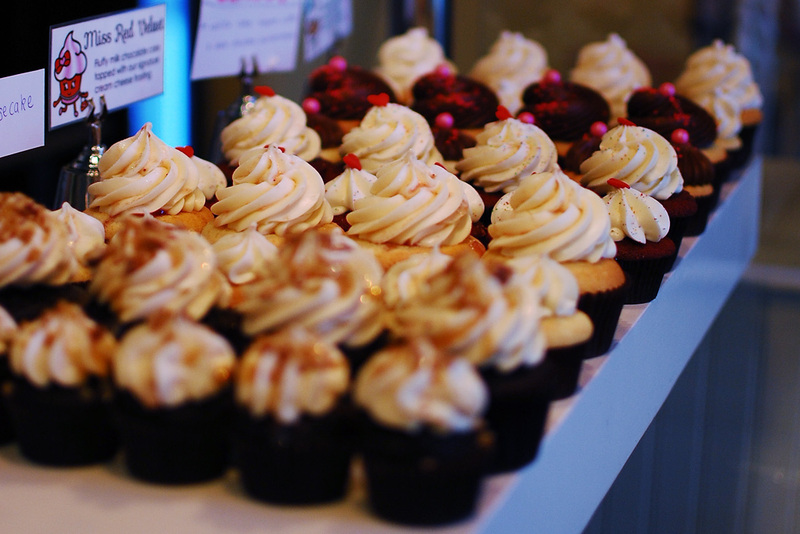 The sold-out viewing party featured an airing of the episode on the big screen, with ticketholders served all of the different variety of cupcakes featured on the show. The couple used the Cupcake Wars prize money to start a line of children’s books and clothing. All that dedication, recipe creation, and tireless hours baking have paid off and Katie’s Cupcakes remains a popular destination for enjoying a cupcake with a warm drink in the charming shop – or the place to pop in and grab a dozen to go. A typical weekday sees Katie craft between 100 and 150 dozen cupcakes of a variety of flavors; weekends can see between 300 and 450 dozen, depending on the number of special orders that come in. 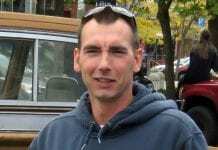 The shop employs two additional staff members and Neal, who also owns a commercial real estate company, helps out every morning and also takes on all the marketing and advertising. 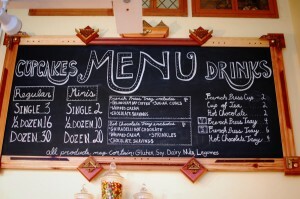 The mouth-watering menu includes between eight and fourteen flavors every day. The four you’ll always find available are: “Very Very Vanilla,” “Black and White,” “Chocoholic,” and “Classy,” a white cake topped with dark chocolate frosting. Delectable daily specials rotate seasonally and include flavors such as chocolate bourbon pecan, white chocolate macadamia, red velvet, mink cookies and cream, peanut butter pie, and more. 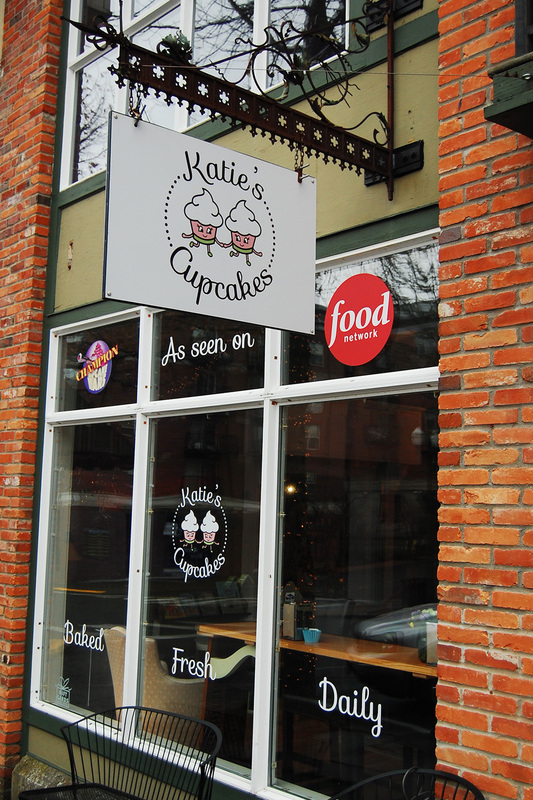 Katie bakes all the cupcakes fresh every morning – and once they’re gone, the “closed” sign goes up in the window. Katie still likes to experiment with new cupcake creations.